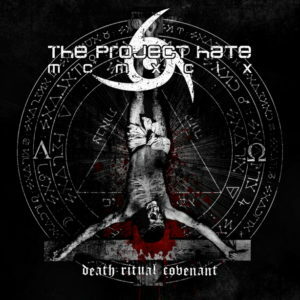 “Death Ritual Covenant” recording update! Mr. Sandström has nailed all of his vocal work. Mr. Johansson has fired up some incredible guitar leads for all the songs. Mr. Verbeuren is currently recording his drums and is well under way with that. And me, I am working on everything else for this album on a more or less daily basis to make sure it comes out spectacular when it’s time for it to be unleashed upon the world. Mr. Swanö is waiting in the wings to be able to sink his teeth into this beast and give it a killer production. There’s some ways to go before that happens though. The plan has always been to have “DRC” out in the first half of 2018, and so far that plan seems to hold up. Also, huge thanx to all of you, Haters, who pre-ordered the new shirt and made it our best selling shirt ever. Very appreciated! No more pre-orders are being taken and these shirts should be sent out within the coming 3 weeks or so. Everything has been delivered to the printers at Hellloil already, so now all we do is wait for them to arrive so I can start packing them and ship them to you all. Make sure to keep an eye on our social media channels so you don’t miss out on all the minor updates I am handing out there as far as the new album goes, ok?